Graphic organizers are a great tool for helping students organize their thinking. 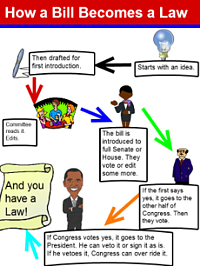 Graphic organizers combine text and visuals to show connections between ideas, making large amounts of information easier to understand. While students can draw circles and connections on paper, technology makes it much easier to rearrange, edit, and identify new connections. 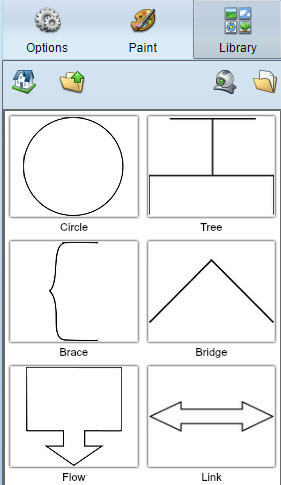 Wixie includes templates for specific types of graphic organizers like Venn diagrams and T-charts as well as images and paint options students can use to create their own organizers from scratch. If students are new to graphic organizers, you will want to begin by modeling how to use them to organize ideas. For example, you could open a graphic organizer in Wixie at your teacher presentation station and work together to recall facts and details from an informational text you read or video you watched. You could also open a Venn diagram to compare details of two different Cinderella stories you have read. Once students know how to use a specific graphic organizer, assign it as a Wixie template so students can complete it on their own to think more deeply about content they are learning. To assign a graphic organizer, click the Activities tab at the top of the teacher dashboard. 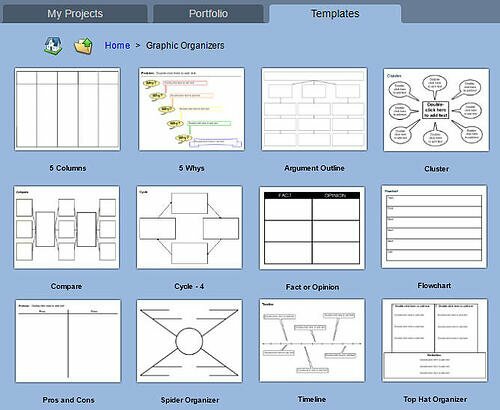 Browse existing templates by opening the Template>Graphic Organizers folder in the Curriculum Library folder on the left. Use the Search field at the top to find a specific graphic organizer like a Venn diagram. Once you have found a template, you can assign it directly to your students or customize it with new instructions and headings before sending to your student's Wixie account. Students will need direction as they begin to learn how to use graphic organizers, but if we want them to take charge of their own learning, we need to stop providing the templates for them and empower them to determine when and how to use them on their own! Students can access the graphic organizer templates in Wixie at any time from the Templates tab of their projects view. The Templates tab includes common organizers at the root level as well as a Graphic Organizer folder filled with templates like Venn diagrams, 5Ws, Fact or Fiction, and more. 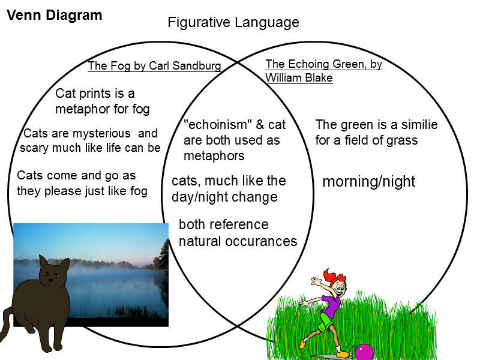 Students simply click the template to open and begin adding text, images, and voice narration. As they get more sophisticated with their use of graphic organizers to sequence and sort information and visualize their thinking, students may want a more free-form or open organizer that they can edit and adjust on the fly. Encourage students to open a blank Wixie document and create their own graphic organizers. They can use a combination of text objects, images, painted connections, and images like those found in the Clip Art>Thinking Maps folder of Wixie’s Library panel. Students can use Wixie's tools to add individual ideas as text boxes and use the paint tools or stickers to show hierarchies or connections between them, making them useful products for student performance tasks that demonstrate understanding. No matter where you or your students are in their use of graphic organizers, they are useful tools to support thinking and comprehension. Having students build graphic organizers in Wixie can help you continue your journey toward using graphic organizers for deeper thinking and content understanding as well as increased student agency.